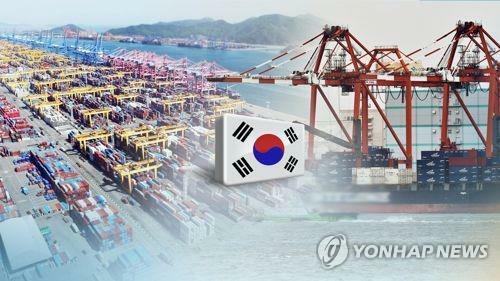 SEJONG, Oct. 12 (Yonhap) -- South Korea's economy is showing decent growth on the back of robust exports and domestic consumption, although capital spending and job creation remain sluggish and external uncertainties are on the rise, a government report said Friday. "The economy is still on a firm growth path backed by sound export and private spending, but facility investment and job conditions remain fragile, and uncertainties increased over the trade conflict between the U.S. and China and rising oil prices," it added. The country's industrial output rose 2.5 percent in August compared with a year earlier, following a 1.0 percent on-year rise the previous month. Retail sales gained 6 percent in August from a year earlier, accelerating from the previous month's 5.7 percent on-year rise. The services production index gained 1.6 percent in August, compared with a 2.1 percent on-year rise the previous month. In August, job additions reached 3,000, slowing from July's 5,000. Facility investment dipped 11.2 percent in August, following the previous month's 10.1 percent on-year decrease. On the export front, the country's exports slipped in September compared with a year ago due to fewer working days and a high base effect, despite the high daily volume of products shipped abroad. Outbound shipments reached US$50.58 billion last month, down 8.2 percent from a year ago, according to the data compiled by the Ministry of Trade, Industry and Energy. Average daily exports reached $2.69 billion in September, constituting a record high. There were only 19.5 working days in September this year due to the Sept. 24-26 Chuseok holiday, resulting in four fewer days compared with September 2017.